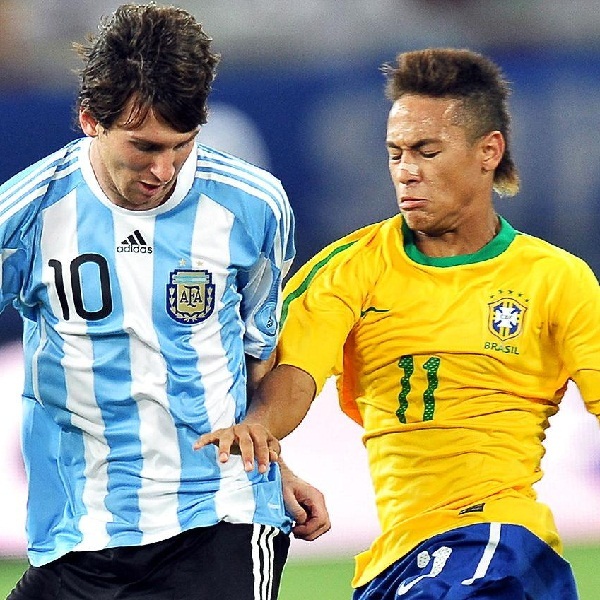 Brazil vs Argentina: Messi vs Neymar Who Will Win This Time? Brazil and Argentina will play each other in Beijing National Stadium on Saturday afternoon and revive one of the fiercest rivalries in the current footballing world. The teams have played numerous times in the past and usually meet at least once a year. However, they haven’t faced each other since 2012 when they played three friendly games. Two of the games were won by Argentina and one was won by Brazil. The real focus will be on the teams’ individual stars: Neymar for Brazil and Messi for Argentina. These players carried their teams through the World Cup and whilst neither of them won, without the input from Messi Argentina would have had a very early exit and without Neymar Brazil would have only just made it past the Group Stage. Many bookies are offering equal odds on the two teams. In general the odds on an Argentinian victory are around 7/5 while the odds on a Brazilian victory are at 8/5. A draw has been set at 21/10. William Hill Odds: 7/5 Argentina to Win, 21/10 for a Draw and 8/5 Brazil to Win. Ladbrokes Odds: 3/2 Argentina to Win, 11/5 for a Draw and 13/8 Brazil to Win. Bet365 odds: 8/5 Argentina to Win, 12/5 for a Draw and 13/8 Brazil to Win.